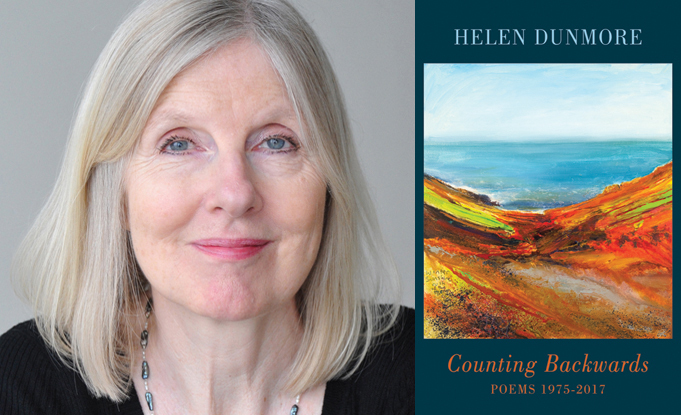 The late Helen Dunmore's retrospective, Counting Backwards: Poems 1975-2017 was published by Bloodaxe in February 2019. Counting Backwards was Helen Dunmore's original title for Inside the Wave, taken from the first poem in that final collection. This retrospective works backwards through her ten collections, which were written over 40 years. It brings together all the poems from her earlier selected, Out of the Blue (2001), with her later collections: Glad of These Times (2007), The Malarkey (2012), and Inside the Wave (2017), as well fifteen additional poems from earlier collections. Helen Dunmore was posthumously awarded the Costa Poetry Award for her final collection Inside the Wave, which went on to be named Costa Book of the Year 2017 in January 2018. A special event to celebrate the novels and poetry of the late Helen Dunmore, who lived in Bristol since the late 1970s. Fellow Bristol writers Patricia Ferguson, Sian Norris and Helen Taylor will read from Helen Dunmore's work. This is a free event but there will be a collection in aid of St Peter’s Hospice, Bristol. A beautiful short film about Inside the Wave featuring Helen's son and daughter, and links to media interviews with them after their mother's final poetry collection won Costa Book of the Year, are posted here.